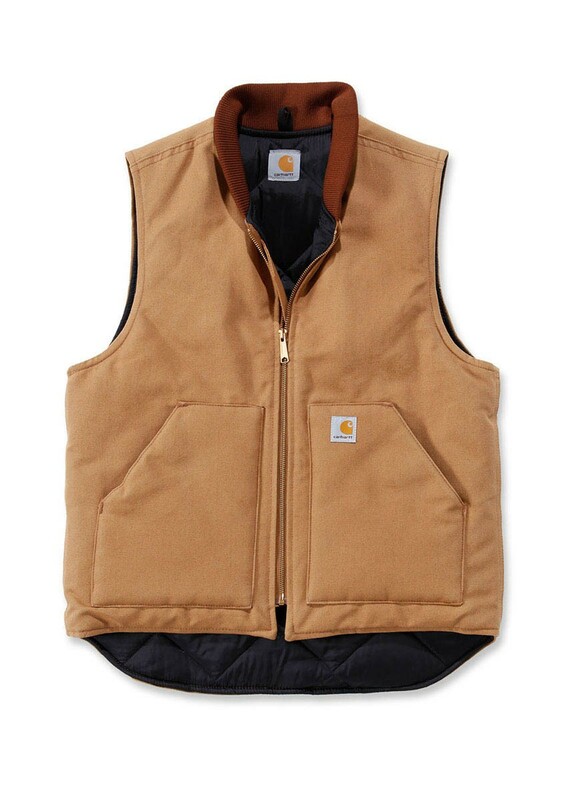 The Carhartt V01 Duck Vest Arctic-Quilt Lined is constructed from 12oz/407g firm hand 100% ringspun cotton duck and has a nylon lining quilted to arctic-weight polyester insulation. It has a brass front zipper with inside storm flap and an inside pocket with hook-and-loop closure. It has two large lower front pockets and the drop tail adds extra coverage. 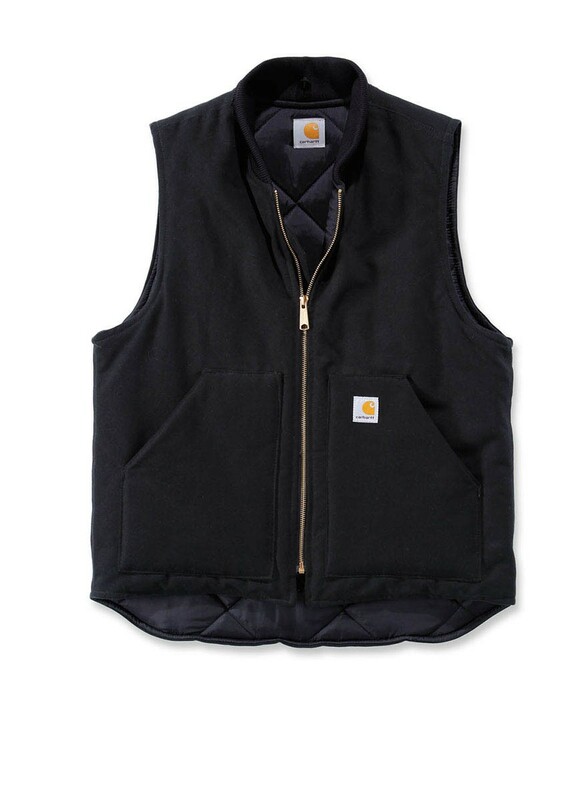 Carhartt garments are generously sized so you may wish to drop down from your regular size when ordering.